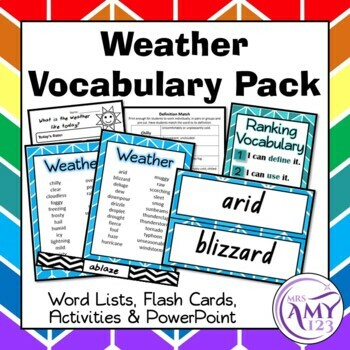 Help your students broaden their vocabulary with this pack of words to describe weather. 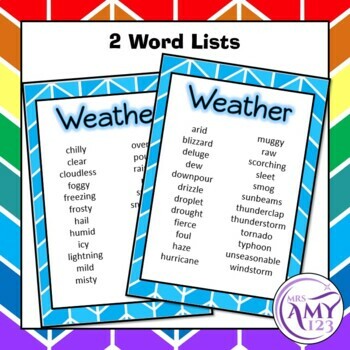 Containing both a lower (easier) and upper (harder) list which each contain 24 words and resources to help your students learn and use the words. 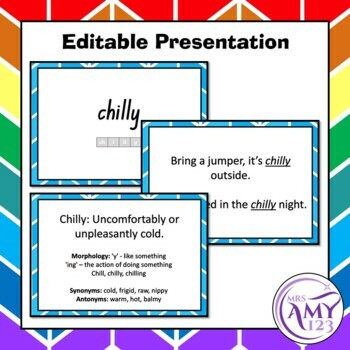 Please note I am an Australian seller and unless otherwise stated the product uses Australian English. This should not affect the use of this product in other countries. 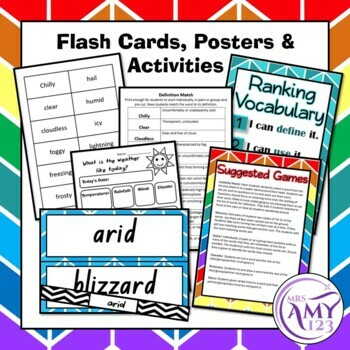 You may use this product for classroom and personal use. You may not share this product digitally or as a hard copy or upload it to the internet.